The Committee for Private Education (Council for Private Education), which is part of SkillsFuture Singapore (SSG) as of October 2016, was originally set up in 2009 to regulate the private education sector under the Private Education Act. All Private Education Institutes (PEIs) are required to comply with the regulations under the new act in order to operate in Singapore. IIS is registered with CPE under the Enhanced Registration Framework (ERF) for the duration of four years, from 13 July 2016 to 12 July 2020. The school’s registration number 201012199C. You may view our registration certificate by clicking on the buttons below. In compliance with the Private Education Act, IIS is required to execute a Student Enrolment Agreement with each student prior to them being enrolled. Generally, parents or legal guardian are required to complete and sign this agreement with IIS on behalf of their child as most students are under the age of 18 years. The IIS-Student Enrolment Agreement is an important legally-binding document between the school and parents/student. Students are not considered enrolled at IIS until a duly-executed agreement and Advisory Note are signed and returns to the school. Parents should only sign the agreement once they have read the Advisory Note and fully understood all terms and conditions detailed therein. Parents are encouraged and welcomed to seek guidance or clarification if they are uncertain about the stipulated terms and conditions. The Student Enrolment Agreement is available below and if requested can be sent via email (admissions@iis.edu.sg). Under the Private Education Act, students’ fees must be insured under the Fee Protection Scheme (FPS), which serves to protect course fees paid by students to PEIs. All students attending IIS are covered by way of the “Industry-Wide Course Fee Protection Insurance Policy”. IIS has appointed LONPAC Insurance Bhd to be the FPS provider. Students’ fees are considered protected once they are paid to the school. You may view our insurance certification and policy details by clicking on the button to the right. 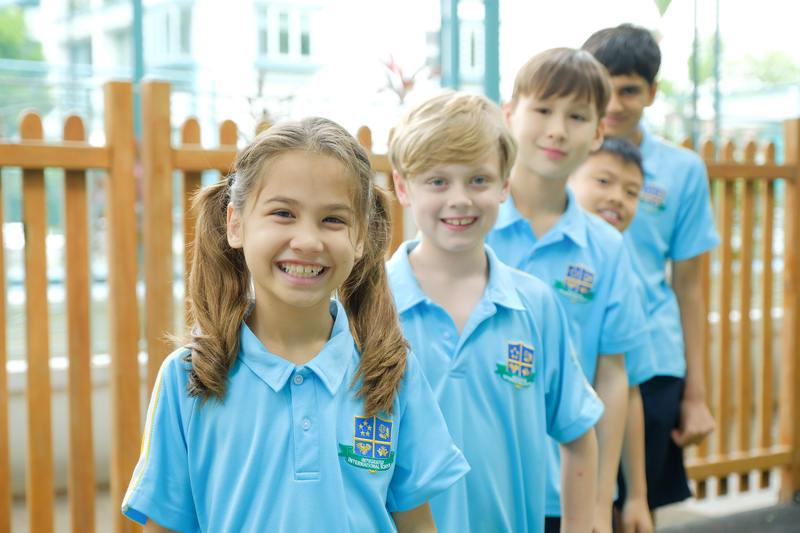 At the Integrated International School, during the enrolment process, each student is individually assessed to determine which grade level is most appropriate. Therefore, we do not place children into classes solely based on age. Our holistic approach means we look at academic, social and emotional factors and if additional support is required. For more information, please enquire with our Admissions Team.